The old adage “time is money” is very true when it comes to overdue debt collections and accounts receivable. With few exceptions, the longer you delay overdue debt collections, the more trouble you will have collecting. If you have to extend credit, adhering to the following guidelines can put more money in your pocket and save you stress. If you do not receive payment by that day, you should immediately contact your debtor in writing to advise them that the account is past due and obtain a date certain within the next seven to ten days when you will receive payment. If you then do not receive payment within seven to ten days, or another specific date by agreement, contact them again in writing with stronger language insisting that payment is due. Then, if payment is not made before the account becomes more than thirty days past due, send a letter advising that you will file suit against them if the account is not paid immediately, giving them a finite period of time to make payment. Although the law does not require you to send this letter threatening suit in any particular manner, it is a good idea to send the communication via certified mail, return receipt requested. We suggest also sending a copy of that communication by fax, email and/or first class mail so your customer’s receipt of it is ensured and expedited. Too, some people think they accomplish something by refusing to accept or claim certified mail and substantial time may elapse before you learn that your letter was never accepted or claimed. Generally speaking, delivery is deemed to occur when an addressee refuses delivery. This written demand also perfects your right to recover attorney’s fees for overdue debt collections. It is not necessary that you employ an attorney to present your claim to your customer. 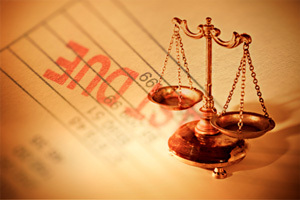 This can be done easily by you, thereby saving you the expense of attorney’s fees. In this letter, you should state that if filing a lawsuit becomes necessary, you will sue the customer for prejudgment interest due (this is a statutory six percent per annum rate in the absence of any contrary agreement), court costs, and attorney’s fees. If the account is less than $10,000 and you cannot or do not wish to employ an attorney, you can represent yourself when filing the claim in a justice of the peace court. If you are engaged in construction or a related enterprise, timely management of your accounts receivable also helps you perfect your right to file a Texas mechanics and materialman’s lien (M&M Lien). In these professions, there are strict requirements that must be met in order to qualify to file the M&M Lien affidavit. If your account is experiencing serious financial difficulty, their filing bankruptcy is always a possibility. You can reasonably infer that your account may be in arrears with other obligations also. Therefore, you may be in a situation of “early bird gets the worm,” dictating that you must proceed with all haste – “the wheel that squeaks the loudest gets the grease” is another old, but true aphorism! It is never too early to begin teaching children about the role of Law in society. That is the philosophy of the Houston Bar Association, sponsor of a law education program designed to take story telling to young school children that emphasizes our great American heritage of liberty, justice and equality under the law. “No courts. No justice. No freedom” is the theme for this year’s law education program. A. Lewis Ward, attorney at law, participated in this law education program by reading the story of the Missing Cupcake to second and third graders at Liestman Elementary School in southwest Houston. “These young children are sharp and they certainly understood the point of the story, as well as the humor in the story,” said Ward. Law Day USA was established by President Dwight Eisenhower and a 1961 joint resolution of Congress established May 1 as the official day to celebrate it each year. 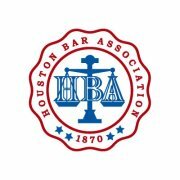 This law education reading program is sponsored in the Houston area by the Houston Bar Association (HBA). The HBA offers a Kid Zone to assist with learning about law and society on the organization’s website at www.hba.org.